At first thought, vegan is about the vegetarians or vegetables. Am I right? Partly, you’re correct but, the entire meaning is far-flung from the simple vegetarian definition. Vegan is a term givennot limited to the kind of diet they take but also the lifestyle of not eating any animal produced products. Even the clothings that are made from animals, its a big NO to all vegans. With the true blue vegans being criticize for their lifestyle and we can say that once a vegan is also an animal right activist, many say that these kind of people seemed to be superior than others because they value the living and they promote good and healthy lifestyle. Well, their choice will always be for the better and who doesn’t like it? We can say that, promoting a healthy lifestyle will benefit not only vegans but also many of us. Eventhough you are not an active advocate of vegan lifestyle, you can still follow their eating and diet habits. 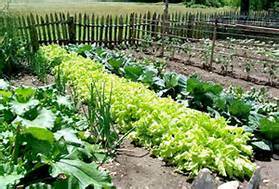 And an answer of starting this healthy habit is by having your own vegan organic gardening. 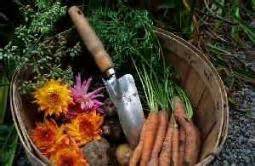 Vegan organic gardening is the cultivation and production of food that does not use any animal products such as blood meal, fish, bone meal, manure fertilizers. But still, any fertilizer that will be use will always be organic. Now, I’m not a vegetarian but the idea of using a non-animal produced product fertilizer is a great idea and having a vegan organic gardening is one factor that can produced healthy food, multiply food supply and economically helpful. 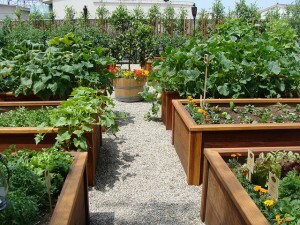 What products then will I use for my own vegan organic garden? With all my research re vegan gardening, even non-vegetarian gardeners or farmers are now using non-animal produced fertilizer which is good that it has become an alternative with the traditional chemical fertilizers that farmers have been using for decades now. GYMPSUM – A very useful fertilizer for its high calcium content. NEEM - Known to be the wonder tree, neem has been inagricultural use as natural pesticide and organic fertilizer. EPSOM SALT - A good source of magnesium. ROCK POTASH – One of the essential mineral that is needed for the soil is potassium. Potassium is an important nutrient that can boos your crop. ROCK PHOSPHATE – Another essential mineral for the soil is phospohorus. Rock phophate is usually came from the ocean. LIME – Calcium and magnesium are essential for a healthy soil and lime is rich with these minerals. Lime raises the pH level of the soil and can control the breaking up of clay soil. GREEN MANURE – The cycle of absorbing and returning of the nutrients to and from the soil happens for crops that used green manure. It improves the plants roots and prevents soil erosion. EFFECTIVE MICRO-ORGANISMS BOKASHI – The Japanese fermented organic fertilizer that is based on bran materials. With Bokashi’s likeable smell, you can add it to your compost and aid the fermentaion of the organic material.